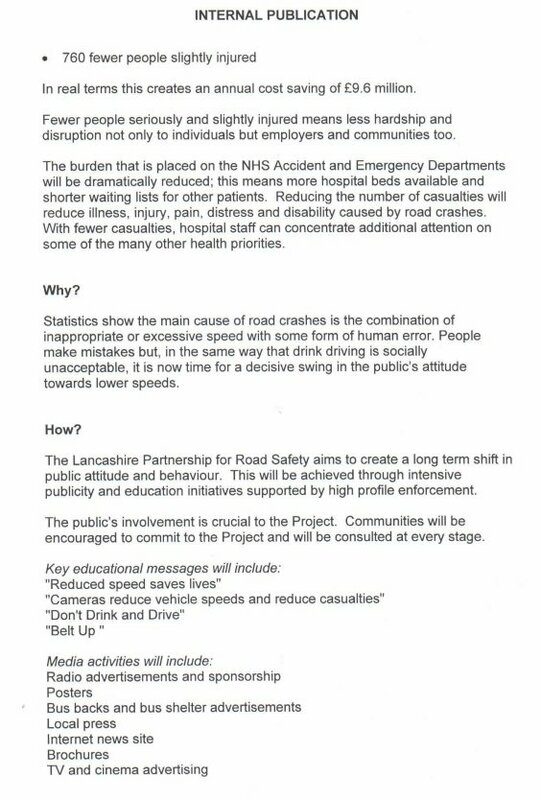 We've been lucky enough to have been sent a leak of an internal document describing the planned behaviour of the "Lancashire Partnership for Road Safety". It's reproduced here in full. We're amazed at the casualty savings they expect to deliver with such a campaign. 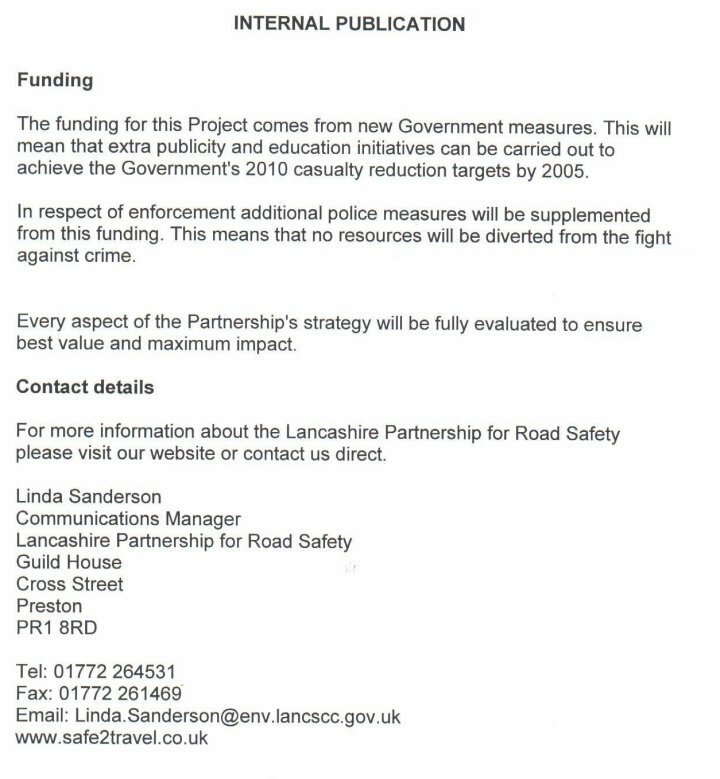 We can promise them that it isn't possible to deliver these kind of savings with the strategy proposed. 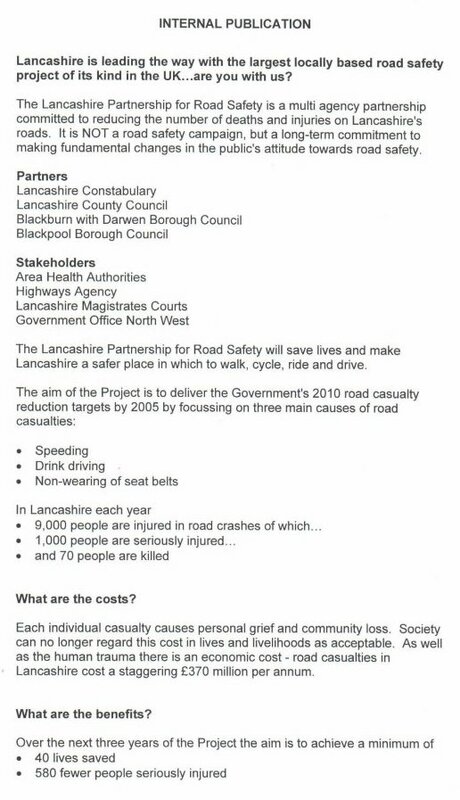 They say "Statistics show the main cause of road crashes is the combination of innappropriate or excessive speed with some form of human error". 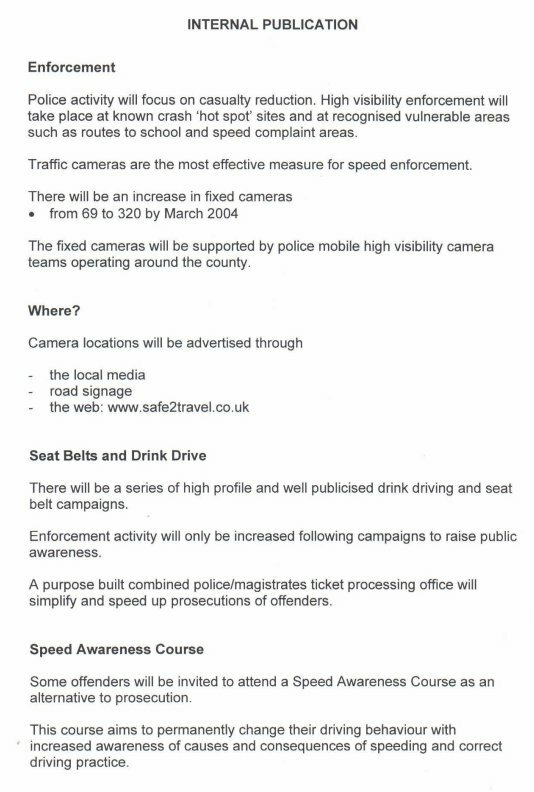 (Page 2). What statistics are those then? Exactly?